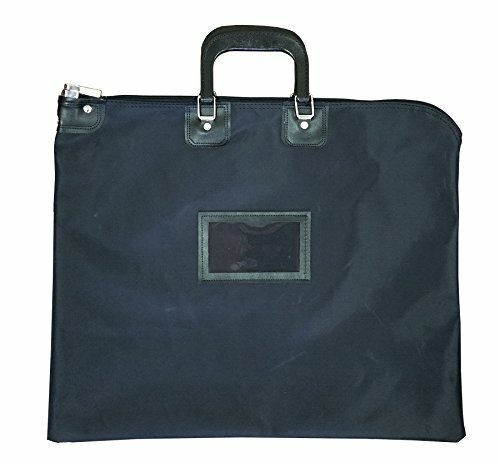 Designed for maximum strength and durability for the security industry, the heavy laminated nylon document bag is constructed of durable tear resistant material. The locking system is utilitarian with heavy construction and two keys. The key is not required to remain in the lock to secure the bag. Meets HIPAA Privacy Rules for storage and transportation of medical records. 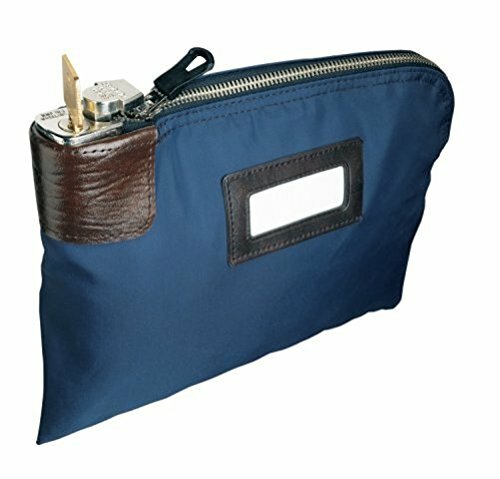 Locking Security Bag is perfect for the night deposit. 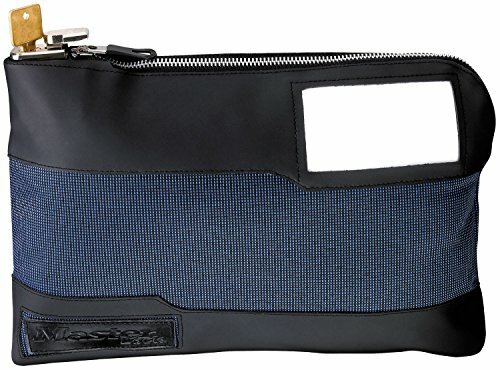 Made of navy blue laminated nylon with brown simulated leather grips on both ends of the bag. 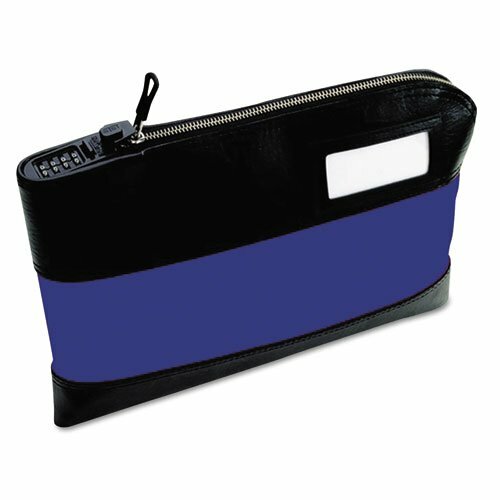 Bag features a seven-pin lock to secure money and belongings. 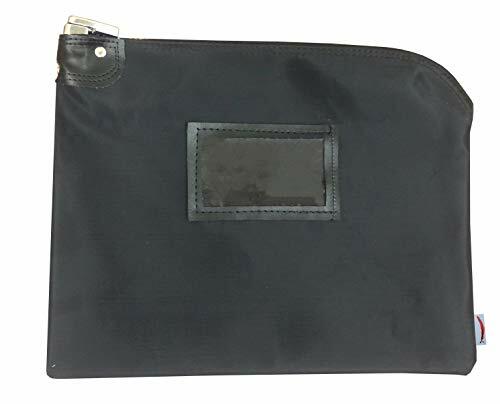 Brown leatherette vinyl pocket with clear window on front holds a 3 x 4 Inches index card that you can change every night to identify contents. 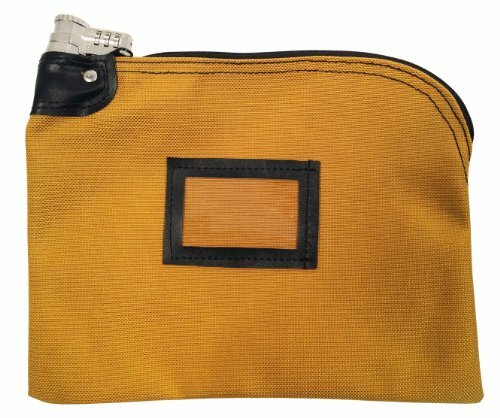 Rugged, locking security bag features a combination lock and a sturdy construction with thick, double-reinforced, vinyl to provide resistance for years of deposit drops. 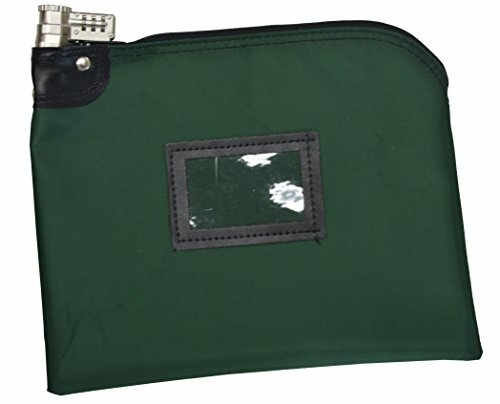 Pick-resistant metal zipper offers an easy grip molded pull for smooth operation. You can change the combination code at any time when the lock is open. 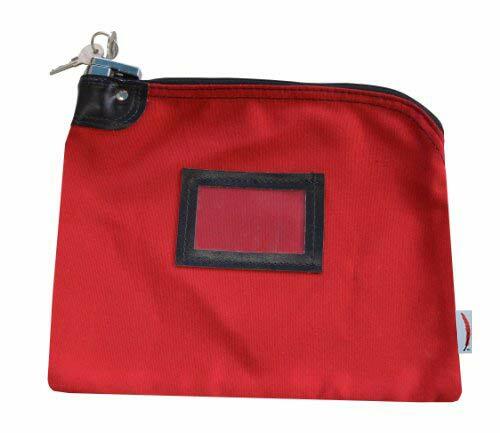 A see-through window on the bag is perfect for bar-coding, business identification cards or shipping information. 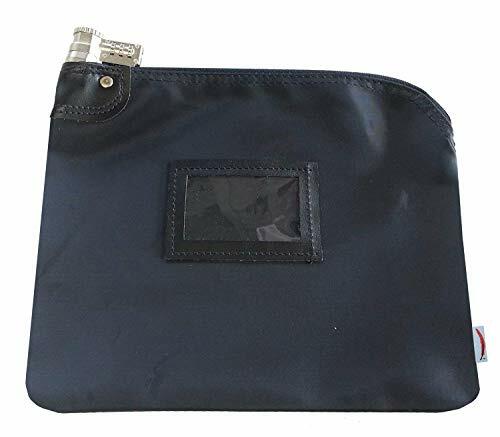 Eagle locking security money bag can safely carry cash, jewelry and confidential documents. It is made of water resistant nylon with a built-in security lock. Brown simulated leather grips on the end of the bag at the locking position. And a brown leatherette vinyl pocket with clear window on the front for index cards. Ideal locking security bag for work or home. Designed for maximum strength and durability for the security industry, the heavy canvas secure bag is constructed of durable tear resistant material. The locking system is utilitarian with heavy construction. Lockable Bank Bag. This bag is not designed for holding documents. Designed for maximum strength and durability for the security industry, the heavy laminated nylon secure bag is constructed of durable tear resistant material. The locking system is utilitarian with heavy construction with two locking options. Designed for maximum strength and durability for the security industry, the heavy laminated nylon secure bag is constructed of durable tear resistant material. The locking system is utilitarian with heavy construction with two locking options. 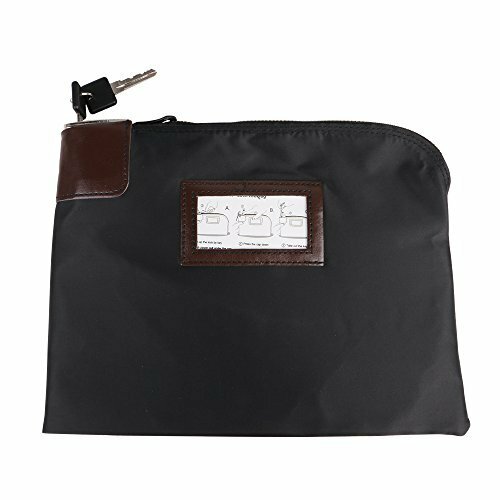 Locking Document Bag designed for maximum strength and durability for the security industry, the heavy laminated nylon document bag is constructed of durable tear resistant material. The locking system is utilitarian with heavy construction and two keys. The key is not required to remain in the lock to secure the bag. Meets HIPAA Privacy Rules for storage and transportation of medical records. Bank bag designed for maximum strength and durability for the security industry, the heavy 1350 ballistic weave nylon secure bag is constructed of high performance fabric to resistant to abrasions, tears, scuffs and punctures. A material fabric with a water repellent urethane coating. The locking system is utilitarian with heavy duty construction with a combination or keyed lock. Please note this bag is not designed for documents, files or papers.